Sayara Research we work for the benefit of Afghanistan by providing the government, the international community, civil society and the private sector with the information that they need to make a difference. We are an Afghan company that has been creating sustainable development for the past 10 years working with local and international clients from our head office in Kabul, and our regional offices throughout the country. As a social enterprise we believe that the interests of business and society are one in the same, so we choose our projects carefully to have the greatest impact on improving the quality of life in Afghanistan. We provide our clients with research, assessment, and..
Zardozi is a national NGO with a mission to enable low income, uneducated women to achieve economic empowerment and thus strengthen the role of women in the economy and in political and civic life. Over the past decade, through its Markets for Afghan Artisans (MFAA) programme, Zardozi has developed an unequalled understanding of how to make inclusive economic growth for women a reality in one of the world’s most challenging environments. By the end of 2015 Zardozi will have increased the income of 3,500 women and created 6,000 long-term work opportunities in a range of sectors in four urban and semi-urban areas in Afghanistan. Most clients have found paid work opportunities for..
Welthungerhilfe was founded in 1962 as the National Committee of the Freedom from Hunger Campaign set up by the UN Food and Agricultural Organisation (FAO). Non-profit making, non-denominational and politically independent, it is run by a board of honorary members under the patronage of the Federal Republic of Germany. Today, it is one of the largest, nondenominational and non-political German NGO in development co-operation and emergency relief. WHH in Afghanistan strives to change the conditions that lead to hunger and poverty. Welthungerhilfe’s overall objective in Afghanistan is to reduce the level of poverty while improving the livelihoods for the most vulnerable..
Afghan Wireless is Afghanistan’s first wireless communications company. When we began operations in 2002 we founded Afghanistan’s mobile communications industry by being the first enterprise to offer cell phone service to Afghan consumers and businesses. 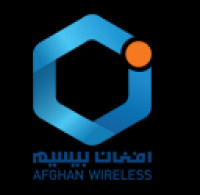 For well over a decade Afghan Wireless has driven the rapid growth of our nation’s communications market through its innovative development and deployment of global-class High-Definition (HD) Voice Communications Internet Data and Mobile Payments Services. More than 6 000 people work for Afghan Wireless and our Company is directly responsible for the creation of 100 000 jobs throughout Afghanistan.Our Company was founded in 2002 by..